A place to discuss randomness and reviews! On an inner level, Dionysus, the Fool, is an image of the mysterious impulse within us to leap into the unknown. The conservative, cautious, realistic side of us watches with horror this wild, youthful spirit who, trusting in heaven, is prepared to walk over the cliff’s edge without a moment’s hesitation. The madness of Dionysus seems mad only to that part of us which is bound to the world of form, facts and logical order. But in a more profound sense it is not madness, for it is the impulse toward change which comes upon us ‘out of the blue’, which has no rational basis and preplanned program of action. The god is portrayed in animal skins because, in a way, this intuitive, irrational dimension to the human personality is a kind of sixth sense an animal instinct which hears a music to which jaded ears, used to concrete reality, are not attuned. Dionysus is the son of the Kind of the gods, and it is his father’s spirit to which he is in tune, although he is ordained to live on earth with mortals; but it is difficult to know when this impulse strikes us, whether it has come from Zeus’ heavenly abode or a darker, more underworld place. Thus Dionysus, the Fool, represents the irrational impulse toward change and toward opening life’s horizons into the unknown. The Fool stands at the beginning of his journey, and when we are struck by the mysterious impulse which he represents, we to stand at the threshold of a journey. These irrational impulses can sometimes be destructive, and sometimes creative; and often they are both together. The wild god can sometimes leap off a cliff’s edge into painful and damaging situations which may also yield wonderfully creative beginnings, and so craving for some spiritual food which he or she cannot fully understand. But if we never respond to these calls from the other world, then we sink into drab, meaningless, banal lives, and wonder, at the end of life, what we have missed and why the world seems so empty. Thus the Fool is a highly ambivalent figure, for there is no guarantee at the beginning of such a journey whether we will arrive safely, if at all. Yet not to begin is to deny the god, which on an inner level means to deny all in us that is youthful, creative, and in touch with that which is greater than ourselves. The hero of the journey is the Fool. He is in the guise of the mysterious god Dionysus, the Twice-Born. He was the child of great Zeus, king of the gods, and Semele, a mortal woman and a princess of Thebes. Zues’ wife Hera, furious at his infidelity, disguised herself as a nursemaid and whispered to Semele that she must test her lover’s devotion by demanding that he appear before her in all his divine glory. Having promised Semele anything her heart might desire, the god was bound by his vow when she insisted that he reveal his divinity to her. Reluctantly, he manifested as thunder and lightning, and Semele was consumed in flames. But Zeus managed to rescue the unborn child. Hermes, messenger of the gods and patron of magic, sewed up the fetus in Zeus’ thigh; thus Dionysus was born. Hera continued to pursue the strange horned child, and sent the Titans, the earth-gods, to tear u to pieces. But Zeus rescued the child’s heart, still beating. This heart he transformed into a potion of pomegranate seeds, and the magical drink was fed the maiden Persephone by Hades, the dark god of the underworld, when he abducted her. Persephone became pregnant, and Dionysus was thus reborn in the underworld. Therefore he was called Dionysus-Iacchos, the Twice-Born, god of light and ecstasy. Ordained by his father Zeus to live among men and share their suffering, he was stricken with madness by Hera, and wandered all over the world followed by wild satyrs, madwomen and animals. He gave the gift of wine to mankind, and brought drunken ecstasy and spiritual redemption to those who were willing to relinquish their attachment to worldly power and wealth. Eventually his heavenly father Zeus bade him rise to Olympus, where he took his place at the right hand of the king of the gods. Where did Tarot cards come from? The origins of the tarot is one of societies oldest controversial mysteries. Did they originate with Gypsy’s or did they come from medieval Europe? Others have theorized that they originated from China or Ancient Egypt. Another theory is that they originated in Italy during the 14th and 15th century, this being the most popular belief. How correct any of these theories are is yet to be decided, though all concepts should be looked at in terms of learning Tarot. 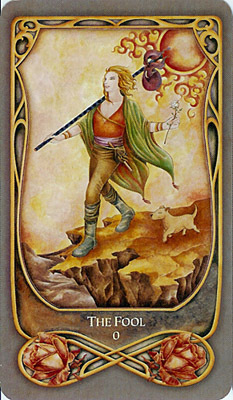 Each theory has its own roots and history which enrich the magic of the Tarot. 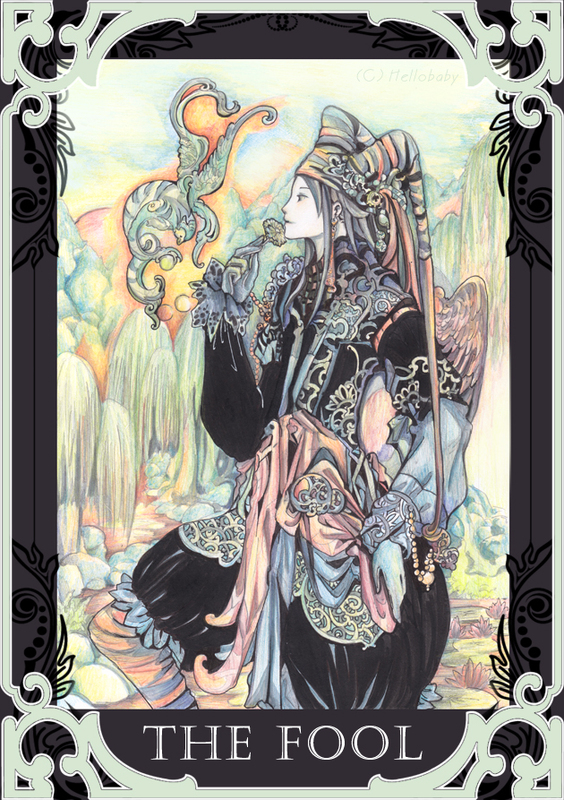 The origin of the particular deck you use can enhance your ability to focus and determine interpretations of cards. 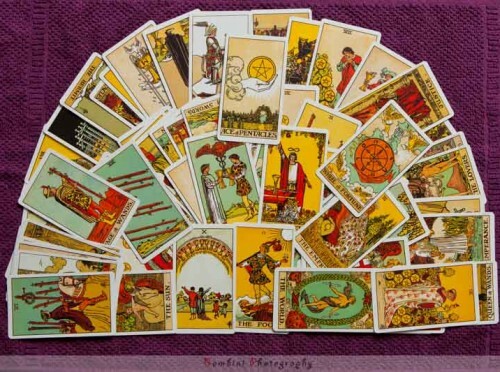 The main consensus is that Tarot cards originally came from Italy in the 1300-1400’s and from there spread throughout France and Switzerland during the 15th century. Knowledge of the cards can be traced back to 1377 however, hard physical evidence of the cards existence wasn’t discovered till 1430 and 1450 in Milan. However there is a contradictory belief that the tarot may have also travelled to Europe from the Middle East though the earliest surviving card deck comes from 14th century Italy. It is believed that the cards had originally been made for Royalty and Nobles as a card game for the upper classes, and the re-emergence of the cards as a divinatory tool did not occur till the latter half of the 15th century. From Italy it is said that the cards spread from east to west by means of traveling merchants and Gypsies. This places the arrival of the tarot in the western world somewhere in the middle of the 14th century in the cusp of the Renaissance. In 1781 the theory that Tarot had originated in ancient Egypt was interjected by Antoine Court de Gébelin (http://www.salemtarot.com/tarothistory.html). His theory suggests that the cards contained knowledge that had been encoded in the symbolism of the Trumps. During this time, although fleeting, became the popular belief, until translated Egyptian hieroglyphs in 1799 all but discredited the concept. Therefore leaving it open for the new ideal that Gypsies carried the Tarot from Europe, bringing back the Italian origin ideal in 1857. From this moment forward a variety of famous occultists and the like have put forward their own theories which show connections to a variety of cultural backgrounds. During the 19th Century the Tarot was thought to have roots in Kabbalah, or Hebrew Mysticism. The 20th Century saw the emergence of the Arthur Waite deck which is personifies the relationship between the renaissance and the Tarot. There are various other theories, though these seem to be the most common beliefs.